When you’re looking for a great same day courier Barnsley service, you could find you’re spoilt for choice. 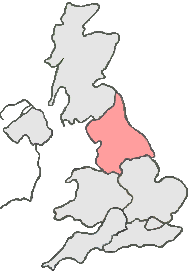 Many same day courier companies operate in this area, because Barnsley is within easy reach of 3 large cities. It is also close by to the M1. Courier Expert can make your choice easier for you, by offering a fast, professional, same day courier service. With the added bonus of customer support for the entire length of your delivery and a very competitive pricing structure. So, if you’re looking for a Same Day Courier Barnsley call us now on: 0114 3271816.